What would the Pokémon cartoon be like if it more accurately depicted the video game series it was based off of? Luckily, we don’t have to wonder because it’s already been done. Many of us who were Pokémon fans since the beginning grew up with Pokémon, in one of any several formats; video game, cartoon, and trading cards. But while Nintendo and Game Freak may have created a world that empowered kids, and a world in which kids from any walk of life could enjoy together, provided they had access to any of those three mediums, they created two separate cannons in the process. The video game cannon, and the cartoon cannon. 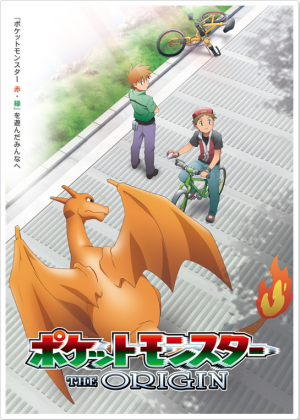 Pokémon Origins attempts to bridge that gap by retelling the video game series as a cartoon. Instead of Ash Ketchum and Gary Oak, we are introduced to protagonist Red and rival Blue, who choose between three starters in much the same way that they chose in the video game. Red picks first, and Blue picks a starter that has a type advantage. From there, the story is the Cliff’s Notes version of the video game, following a few major points of development in Red’s journey to completing the Pokedex and becoming a Pokémon master. The series is split into four episodes, where major plot points are broken by quick recaps of what Red has been doing since we last saw him. 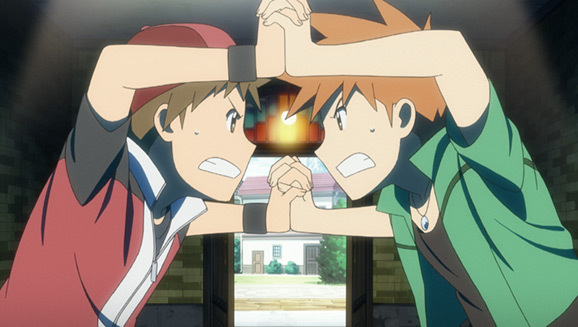 The story focuses mostly on Red’s training style of forming bonds with his Pokemon, which also mirrors Ash’s training style from the original cartoon series. The silent protagonist from the video game is depicted similarly to Ash early on, but develops into a more thoughtful and mature young adult through the course of the story. Another key element to the story is that it follows much of Red’s trials against Team Rocket. There are no Jessie and James, however, and Giovanni takes a front seat, again mirroring the conflict in the games. 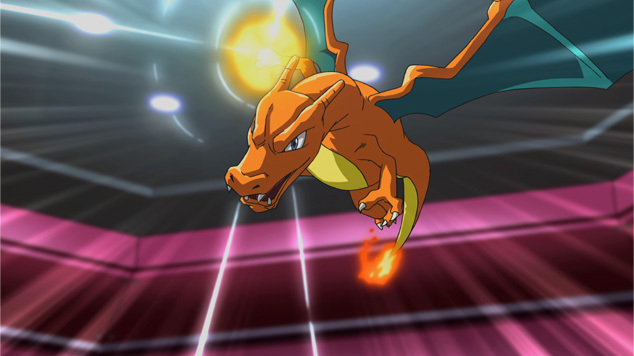 The importance of gym battles are tabled in favor of the role of Team Rocket and Blue as the primary antagonistic forces, with only two gym battles playing front and center throughout the four episodes. The soundtrack is also worth mentioning for its departure from the regular series and emulation of the video game. The music of the game is remixed in a tasteful way, so as to encourage nostalgia from the soundtrack that was drilled into our brains after endless hours of play. The tracks are recognizable and have a fair presence of primitive synthetics, but not as ear piercing as the limited sound effects allowed by the Game Boy, and styled with some modern synthetic instrumentation that complements the experience of the analog instruments. On the other hand, some tracks fall completely out of the above description, providing different styles that add tension or depth to the feel of the story. A personal favorite in the musical score is the remixed version of the battle music with the Pokemon League champion. Overall the series is a trip down nostalgia lane. It’s exactly the kind of cartoon Pokémon fans had always wanted, but, the unfortunate truth is that it’s a little short and rushed. Nevertheless, the lack of length may make it all that much more enjoyable, as we won’t have to be concerned with filling episodes out with uninteresting details. The way in which it was done leaves one wanting more, but perhaps it’s for the best, as this is a really well done anime. Pokemon Origins received an 8.3 rating on IMDB.